jusTap! 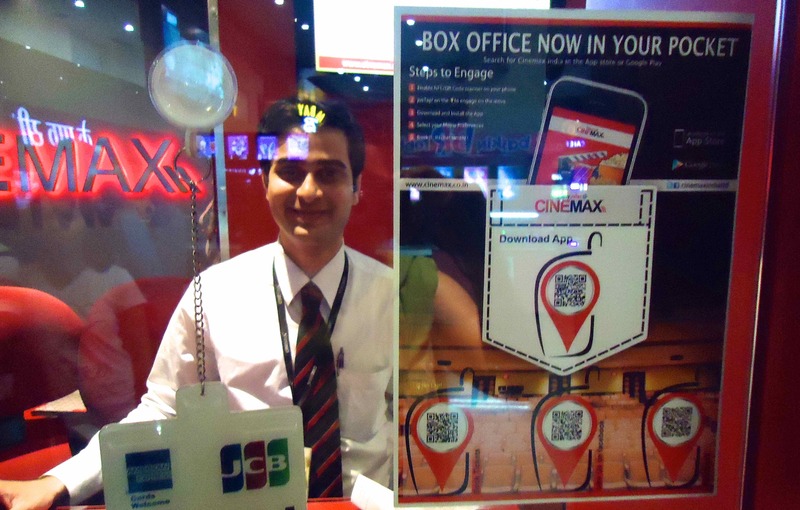 announced a partnership with Cinemax — one of India’s largest and most popular movie theaters — to deliver an NFC mobile app. The app is part and parcel to the duo’s “Box Office Now in Your Pocket” campaign that is attempting to provide moviegoers with a one-stop solution for cinema info. Patrons use jusTap!’s new app by going to a local theater and download the Cinemax Mobile App from any of the smart posters on display. Once downloaded, the app enables movie patrons to look up show times, give feedback and bookmark desired movies for future viewing. The preliminary stages of the Cinemax and jusTap! app are already live at the theater’s Mumbai branches. Attracting some 200 patrons in six weeks, the unadvertised smart posters have proven an effective means to promote the app. Cinemax — who operates more than 40 properties and 141 screens across India — estimates that nearly 35% percent of customers have downloaded the Cinemax Mobile App with 26% of customers choosing to leave feedback for Cinemax. The ‘Like Cinemax’ on Facebook and ‘Book Tickets’ functions have reported 20% and 19% engagement respectively. Popular handsets used to download Cinemax app and interact with the NFC-enabled posters included the Google Nexus 7, Blackberry Bold, HTC Wildfire, Nokia 700 and Lumia and the Samsung Galaxy.